Charming rancher on approx. 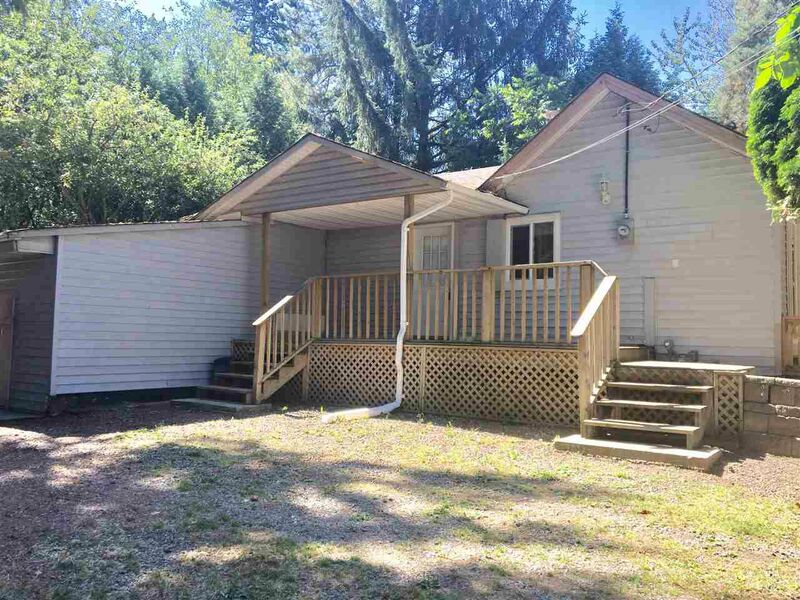 1/4 acre flat useable land, completely fenced with new cedar fencing. Very private yard. Interesting plan; huge sunken Master with French Door out to patio, gleaming hardwood floors, laminate and tile throughout, no carpeting, vaulted ceilings, cheerful colours. Single garage/shop & tons of parking, would accommodate an RV or boat. Many upgrades including vinyl windows, hot water tank, & flooring. Spacious remodeled main bath has huge soaker tub & separate shower. This lovely property is within minutes of all ammenities. OCP indicates potential to rezone to a commercial zone. Sewer line at property. A few of your own touches and this could be your dream home, and great investment for the future.